Right or wrong, the 2011 abolition of joint and several liability was a sea change in the law. However, some members of the bench and bar see an additional consequence: the end of statutory contribution among tortfeasors. This article explores the potential viability of contribution under Title 12, Section 832 in the wake of joint and several liability’s demise. The equitable balance began to shift in 1973 when the Legislature enacted statutes that replaced the contributory negligence doctrine with a codified system of modified comparative negligence.8 But Oklahoma remained silent on contribution even as other states had begun to adopt some version of the Uniform Contribution Among Tortfeasors Act (UCATA). In 1978, the Oklahoma Supreme Court in Laubach v. Morgan questioned the soundness of joint and several liability under the new comparative fault scheme.9 Noting the inequity of joint and several liability in the absence of contribution, the Laubach court saw two options: 1) allow comparative contribution or 2) abolish joint and several liability. The court chose the latter. Two years later, the Oklahoma Supreme Court clarified that Laubach is limited to the “comparative negligence context,” and that joint and several liability remains the rule where the plaintiff is fault-free.12 This dichotomy remained unaltered until 2004, when the Legislature enacted Title 23, Section 15, which codified Boyles’ holding, and also expanded joint and several liability to actions where the tortfeasor’s fault exceeds 50 percent, or where the tortfeasor was guilty of reckless or willful and wanton conduct. These conditions were commonplace in negligence actions, making joint and several liability the general rule rather than the exception. In 2011, the Legislature amended Section 15 by removing the three exceptions and mandating several liability in actions based on fault. Despite these vagaries, the statutory provisions granting the right of contribution have remained unaltered. The question is whether those changes affect the viability of contribution as a remedy despite the statute remaining on the books. There are valid arguments for and against the continued recognition of contribution, but the balance favors survival. The arguments in favor of contribution are based in statutory interpretation and the lingering potential for joint and several liability in limited situations. There is no indication the Legislature intended to repeal the contribution statute through its amendment of Section 15.19 Courts avoid finding repeal by implication unless irreconcilable conflicts exist.20 Repeal is usually recognized only by express terms. The Legislature chose to leave Section 832 alone during the two decades following Boyles and its codification of several liability in 2004. Section 832 remains unaltered even though the comparative fault and several liability statutes have changed multiple times. Like Oklahoma, Arkansas also recognized joint and several liability and statutory contribution under the UCATA. In 2003, the Arkansas General Assembly passed a tort reform measure that made several liability the rule. The Arkansas Supreme Court held that the legislative abrogation of joint and several liability worked as an implied repeal of contribution under the UCATA.21 Almost immediately following that ruling, the General Assembly passed a law that “clarified that a claim for contribution pursuant to the UCATA still exists” after the repeal of joint and several liability.22The story of Arkansas’ UCATA contribution illustrates the hazard of implied repeal. Moreover, the Oklahoma contribution statute was enacted when several liability was the law. Laubach’s abrogation of joint and several liability predated the passage of Section 832. After passage of Section 832, the Oklahoma Supreme Court noted the right of contribution does not affect the status of several liability under Laubach, which was dictated by the comparative negligence statute.23 Thus, it cannot be concluded with any certainty that Section 832 was passed solely because of a common law rule that was already vanquished. Section 15 also specifically excludes actions made by or on behalf of the state. This exception shows legislative intent to place the risk of an insolvent tortfeasor on the defendants rather than the state. Where the state or one of its political subdivisions is the party injured by the negligence of multiple persons, the common law rule of joint and several liability still applies. Those tortfeasors have the potential right of contribution among them to spread the loss. A tortfeasor may still be able to satisfy Section 832’s prerequisites for contribution. Under the current version of Section 15, a negligent tortfeasor may not be compelled by law to pay more than its proportionate share of the damages. However, that does not mean overpayment is impossible. There are many reasons why a tortfeasor may pay more than its pro rata share to settle a case even under a several liability scheme. The defendant may seek to avoid bad publicity. Ongoing litigation expense may outweigh the overall settlement cost. The suit may just be a nuisance. Section 832 allows a tortfeasor to consider these costs and settle in order to “buy its peace.”38 The 2011 amendment to Section 15 does not change these considerations. Settlement with the injured party is one of the UCATA’s principle objectives. Recognition of settlement-based contribution furthers the goal of making injured parties whole without unnecessary delay. It also allows the at-fault parties to allocate the loss among them without involving the injured party. There is no reason to believe the Legislature intended to cast aside these public policy goals. Overpayment after judgment is also possible because a judgment against a single defendant may not apportion fault among all responsible parties. For example, where a fault-free plaintiff sues a single defendant, a jury cannot permissibly apportion fault without a ghost tortfeasor on the verdict form.39 Comparative fault only applies where the negligence of multiple parties is at issue. If there remains a tortfeasor whose identity or role is unknown at the time of trial, the jury will simply be asked to find whether the sole defendant was negligent and determine the amount of damages caused by that conduct. The same result would be obtained if the defendant chooses to go head-to-head with the plaintiff instead of naming a ghost tortfeasor. No recognized rule in Oklahoma requires absent tortfeasors be listed on the verdict form in order for the defendant to later seek contribution for the loss. In such cases, the defendant would be forced to pay the entire damage award even though there remains another tortfeasor who shares a common liability. In other words, the defendant would pay more than its pro rata share thereby allowing it the right of contribution. Recognition of contribution in this context furthers the UCATA’s equitable goals. The 2011 amendment to Title 23, Section 15 will continue to have broad and profound consequences for tort plaintiffs and defendants alike. Overpayment and contribution are less likely to occur under several liability, but it may be too soon to proclaim the downfall of statutory contribution. 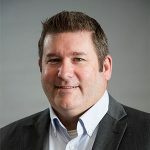 Randall Long is a partner with Rhodes Hieronymus, where he represents clients in civil litigation, insurance disputes and presuit investigations. He is a graduate of the TU College of Law, a member of the Oklahoma Association of Defense Counsel and a member of the OBA Bench and Bar Committee. 1. The author would like to thank Austin Jackson and Cheyenne Meckle, whose research proved invaluable. 2. See 23 O.S. §15 as enacted in 2004, and in effect until 2011 despite the 2009 amendment, which was found to be unconstitutionally enacted through legislative log-rolling. See Douglas v. Cox Ret. Props., 2013 OK 37, ¶12, 302 P.3d 789, 794. 4. The state-plaintiff exception still exists. 5. Laubach v. Morgan, 1978 OK 5, ¶11, 588 P.2d 1071, 1073-74. 6. Nat’l Trailer Convoy, Inc. v. Okla. Turnpike Auth., 1967 OK 15, 434 P.2d 238, 239 (First Syllabus) (at common law joint tortfeasors, as a general rule, have no right of contribution among themselves). 7. Laubach, 1978 OK 5, ¶15, 588 P.2d at 1074 (“Under the common law system of contributory negligence, a plaintiff who was guilty of even slight negligence, could recover nothing.”). 8. See 23 O.S. §11 (repealed in 1979 and replaced by 23 O.S. §13 and 23 O.S. §14); 23 O.S. §12. ; Laubach, 1978 OK 5, ¶4. 11. 12 O.S. §832(A) and (B). 12. Boyles v. Okla. Nat. Gas Co., 1980 OK 163, ¶¶9-10, 619 P.2d 613, 616-17. 13. Nat’l Union Fire Ins. Co. v. A.A.R. W. Skyways, Inc., 1989 OK 157, ¶23, 784 P.2d 52, 57. 14. Laubach, 1978 OK 5, ¶19. See also OUJI 9.33, Comments (“This Instruction assumes that the ‘amount of damages allocated to that tortfeasor’ in 23 O.S. §15 refers to the percentage of negligence determined by the jury.”). 15. See Loos v. Saint-Gobain Abrasives, Inc., 2016 U.S. Dist. LEXIS 127179, at *17 (W.D. Okla. Sept. 19, 2016); Stokes v. Lake Raider, Inc., 2014 U.S. Dist. LEXIS 177675, at *5-7 (E.D. Okla. Dec. 29, 2014); Prof’l Asset Mgmt. v. Penn Square Bank, N.A., 1984 U.S. Dist. LEXIS 15230, at *28 (W.D. Okla. July 5, 1984); Mortg. Contracting Servs., LLC v. J & S Prop. Servs. LLC, 2018 U.S. Dist. LEXIS 109967 (M.D. Fla. July 2, 2018); St. Vincent Infirmary Med. Ctr. v. Shelton, 2013 Ark. 38, ¶¶6-10, 425 S.W.3d 761, 766-67 (superseded by statute); Pierce v. Shannon, 2000 ND 54, 607 N.W.2d 878; Kottler v. State, 136 Wash. 2d 437, 963 P.2d 834 (1998); Neil v. Kavena, 859 P.2d 203, 205 (Ariz. Ct. App. 1993). 16. Laubach, 1978 OK 5, ¶19. 17. Laubach, 1978 OK 5, ¶16. 18. Moss v. City of Okla. City, 1995 OK 52, ¶10, 897 P.2d 280, 284. 19. In some states, joint and several liability and contribution were expressly repealed at the same time. See, e.g., Benner v. Wichman, 874 P.2d 949, 955 (Alaska 1994); Nat’l Serv. Indus. v. B.W. Norton Mfg. Co., 937 P.2d 551, 554-55 (Utah Ct. App. 1997). 20. CompSource Mut. Ins. Co. v. State, 2018 OK 54, ¶34, ___ P.3d ___ (citing Fent v. Henry, 2011 OK 10, ¶11, 257 P.3d 984, 991). 21. See St. Vincent Infirmary Med. Ctr. v. Shelton, 425 S.W.3d 761, 766-67 (Ark. 2013). 22. See J-McDaniel Constr. Co. v. Dale E. Peters Plumbing Ltd., 436 S.W.3d 458, 465-66 (Ark. 2014). 23. Berry v. Empire Indem. Ins. Co., 1981 OK 106, ¶¶8-10, 634 P.2d 718, 719-20. 24. See, e.g., Reed v. Malone’s Mech., Inc., 854 F. Supp. 2d 636, 642 (W.D. Ark. 2012); Gerling Konzern Allgemeine Versicherungs AG v. Lawson, 693 N.W.2d 149, 155-58 (Mich. 2005); Int’l Paper Co. v. TCR Nw. 1993, Inc., 2003 U.S. Dist. LEXIS 25510, at *18-19 (D. Or. Jan. 15, 2003); Graber v. Westaway, 809 P.2d 1126, 1127-29 (Colo. Ct. App. 1991). 25. Cruse v. Bd. of Cnty. Comm’rs, 1995 OK 143, ¶34 n.36, 910 P.2d 998, 1010; Lincoln Bank & Tr. Co. v. Neustadt, 1996 OK CIV APP 10, ¶12, 917 P.2d 1005, 1008. 26. Moss v. Polyco, Inc., 1974 OK 53, ¶7, 522 P.2d 622, 625; Kirkland v. GMC, 1974 OK 52, ¶24, 521 P.2d 1353, 1361. 27. See N. Am. Specialty Ins. Co. v. Britt Paulk Ins. Agency, Inc., 511 F. Supp. 2d 1099, 1105 (E.D. Okla. 2007); Southcrest, L.L.C. v. Bovis Lend Lease, Inc., 2011 U.S. Dist. LEXIS 116102, at *9 (N.D. Okla. Oct. 6, 2011); Cf. In re Jones, 804 F.2d 1133, 1139-43 (10th Cir. 1986) (finding UCATA’s settlement reduction provisions applicable to product liability and negligent tortfeasors). 28. Parker v. O’Rion Indus., Inc., 769 F.2d 647, 648-49 (10th Cir. 1985). 29. Svetz v. Land Tool Co., 513 A.2d 403 (Pa. Super. 1986) (product liability); Wallace v. Strassel, 479 So. 2d 231 (Fla. Dist. Ct. App. 1985) (strict dog owner liability); Petersen v. Tolstow, 445 A.2d 84 (N.J. Super. 1982) (same); Aalco Mfg. Co. v. City of Espanola, 618 P.2d 1230 (N.M. 1980) (product liability). 30. 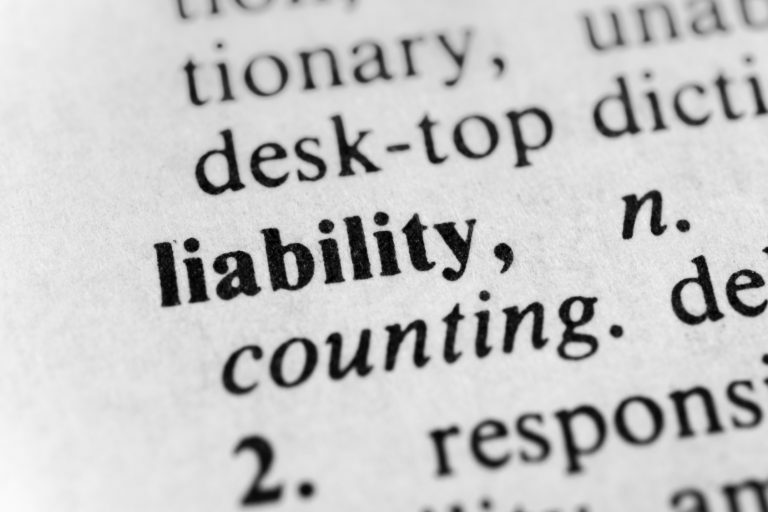 Prior to the 2011 amendment, §15 provided that several liability did not apply to a tortfeasor guilty of reckless or willful conduct, which makes sense because it cannot be compared to negligence to assess percentages of fault. See Graham v. Keuchel, 1993 OK 6, ¶¶49-52, 847 P.2d 342, 362-63. But, the 2011 amendment deleted the exception for recklessness and willful conduct. It is reasonable to conclude that the Legislature intended for reckless and willful tortfeasors to enjoy the benefit of several liability. 31. Gilmore v. St. Anthony Hosp., 1973 OK 131, ¶8, 516 P.2d 248, 251; Okla. ex rel. Dep’t of Highways v. Ray I. Jones Serv. Co., 1970 OK 141, ¶11, 475 P.2d 139, 142. 32. Coleman v. Hertz Corp, 1975 OK CIV APP 5, ¶20, 534 P.2d 940, 944. 33. Kirkland, 1974 OK 52, ¶47. 34. Johnson v. Ford Motor Co., 2002 OK 24, ¶14, 45 P.3d 86, 91-92. 35. While it may be difficult to apportion percentages of fault between a negligent tortfeasor and one that is strictly liable, a jury should not have trouble apportioning damages among them. See id. ; Parker, 769 F.2d at 648-49. 36. See also Barringer v. Baptist Healthcare, 2001 OK 29, ¶¶7-9, 22 P.3d 695, 698-99. 37. See Gerling, 693 N.W.2d at 152-54 (repeal of joint and several liability does not affect right of contribution based on settlement). 38. Price v. Sw. Bell Tel. Co., 1991 OK 50, ¶¶17-25, 812 P.2d 1355, 1359-61. 39. See Nault v. Bd. of Cnty. Comm’rs, 2013 OK CIV APP 1, ¶16, 294 P.3d 461, 465.